I just can't believe how quickly this year has gone! It's so true that the older you get, the faster the time goes, it doesn't seem a year ago that I was setting out my table at Kensington Christmas Show! This year's show was the best I can remember, it was steady, with a constant flow of people & this year it seemed that everyone bought several pieces at a time. It was really good to meet a few of my internet friends too......Jackie, Janice, http://onbeingaminimum.blogspot.co.uk/, Andy, Chantal & Nadja's lovely Mum too...a really, really nice day! 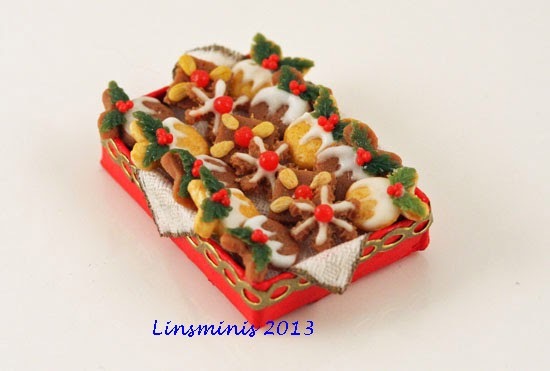 As Christmas is going to be here & gone so quickly no, I thought I'd post a few of my Christmas pieces for 2013! Christmas cookie & chocolate hamper. 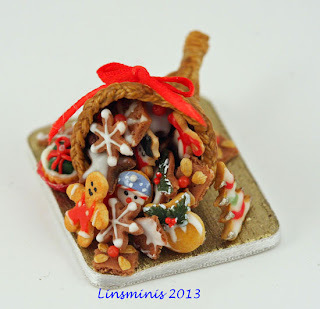 & finally, a cornucopia filled with sweet Christmas treats! Preciosuras vamos, me gustan todas. 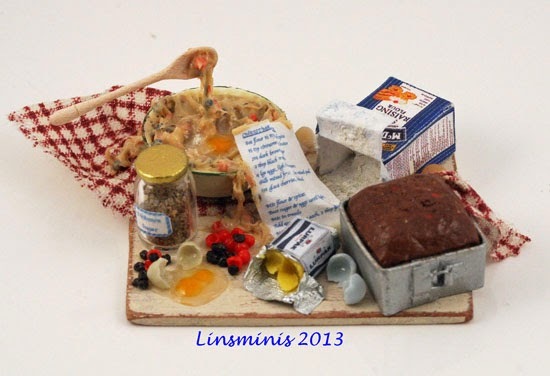 They are all brilliant but I especially love the cake making scene, obviously being made by a messy cook! Yummy as usual Linda!! 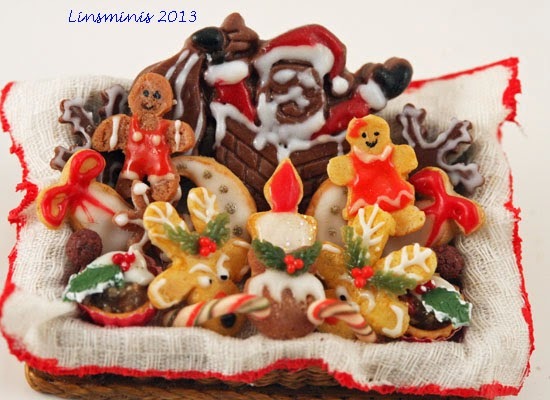 Have a wonderful christmas season and an equally wonderful 2014!